An international team of researchers from Moscow State University (Russia), Sandia National Laboratories (U.S.), and Friedrich-Schiller University (Germany) have devised an ultrafast tunable metamaterial based on gallium arsenide nanoparticles. Their study was published in Nature Communications. 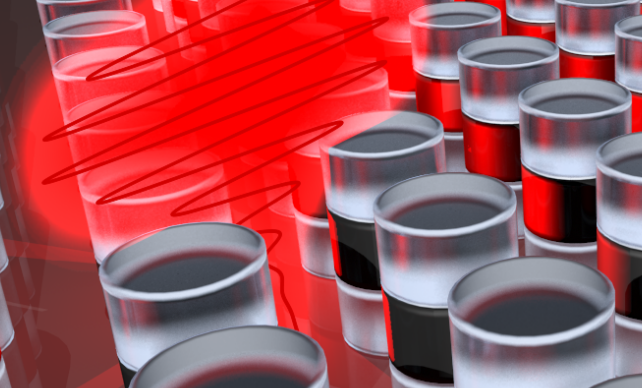 The new optical metamaterial paves the way to ultrafast information transfer on the nanoscale. Optical metamaterials are man-made media that acquire unusual optical properties due to nanostructuring. For almost 20 years, researchers have designed many metamaterial-based devices, including those hiding objects to those sensitive to minute concentrations of substances. However, upon fabrication, metamaterial properties remain fixed. The team came up with a way to turn metamaterials "on" and "off," and do it very quickly—more than 100 billion times per second. Researchers fabricated the metamaterial from a thin gallium arsenide film by electron-beam lithography with subsequent plasma etching. The material consists of an array of semiconductor nanoparticles, which can resonantly concentrate and "hold" light at the nanoscale. In other words, when the light illuminates the metamaterial, it is "trapped" inside the nanoparticles and interacts more efficiently with them. The working principle of the ultrafast tunable metamaterial lies in the generation of electron-hole pairs. In the steady state, the metamaterial is reflective. Then, researchers illuminate the metamaterial with an ultrashort laser pulse. Its energy is used to generate electrons and electron vacancies—"holes"—in the material. The presence of electrons and holes changes the properties of the metamaterial such that it is no longer reflective. In a split second, electrons and holes disappear by meeting each other, and the metamaterial is reflective again. In this way, it is possible to construct optical logic elements, which also opens the possibility of creating ultrafast optical computers. In 2015, a part of the same collaboration reported a similar device based on silicon nanostructures. In their new study, gallium arsenide was used instead of silicon, which increased by an order of magnitude the efficiency of controlling light via light in metamaterials. In the future, the research could allow for creating information transfer devices with processing speeds of tens and hundreds of terabits per second. The demonstration of highly efficient tunable semiconductor metamaterials is a significant step towards such information processing speeds.